So far, each dimension we have created has contained one hierarchy with one level. In this section, we add a level to the hierarchy in the HomeD dimension. In the Class Viewer, expand HomeCity. Drag PostalCode and drop it onto the H1 hierarchy within the HomeD dimension. This step adds the new level PostalCode after the City level. In the Details pane, change Name to ZIP Code. Notice that some members have the same name. It is sometimes correct to have multiple members with the same name. In this case, however, it is an error, because ZIP codes are unique. The level has a parent level. When DeepSee creates members of a level, it considers not only the source property or expression; it also considers the parent member. When we added the ZIP Code level, we placed it after the City level, which means that City is the parent of ZIP Code. This affected how the system generated members for ZIP Code. 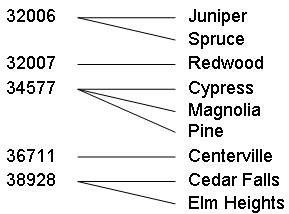 For example, the system assumed that the ZIP code 32006 of the city Juniper was not the same as the ZIP code 32006 of the city Spruce. Go back to the Architect and correct the HomeD dimension. Click the ZIP Code level. Click the up arrow button. Double-click the row 34577. The system now displays the cities within this ZIP code. 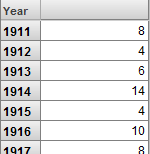 Optionally do the following to see how this change has affected the fact and level tables. 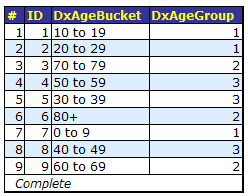 Notice that this table now has the field DxPostalCodeViaHomeCity in addition to DxNameViaHomeCity. That is, the fact table stores a value for each level, even the levels are related. In the left area, navigate to and open the table StarNameViaHomeCity. Notice that now the table stores, for each city, the ZIP code to which that city belongs. Close this table and navigate to the table Tutorial_Cube.StarPostalCodeViaHomeCity. This level table is like the other level tables: one row for each level member. In this part of the tutorial, we add time levels to the cube. DeepSee has built-in support for all three of these formats, as well as for $HOROLOG format and others (for details, see Defining DeepSee Models). The most flexible property is BirthDateTimeStamp, because it contains both the birth date and the birth time, so we will use that as the basis for the time levels. Access the Architect and display the Tutorial cube. For Enter New Element Name, type BirthD. The system creates a dimension, hierarchy, and level. 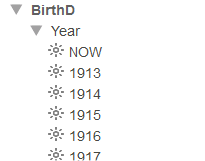 Click the search button next to Property, click BirthDateTimeStamp, and click OK.
Rename the level to Year. For Extract value with function, select Year. This option means that this level is based only the patients’ birth years. Click the hierarchy H1 in this dimension. For Enter New Element Name, type Month Year. The system creates a new level in the hierarchy H1, after the existing Year level. For Extract value with function, select MonthYear. This option means that this level is based on the combined birth year and month. For Enter New Element Name, type H2. The system creates a new hierarchy and level. Rename the level to Time. 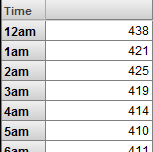 For Extract value with function, select HourNumber. This option means that this level is based on the time of day the patient was born. NOW is a special member that refers to the current year (in this context). 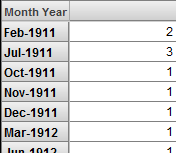 The Month Year level also has a NOW member, which refers to the current year and month. The system does not generate tables for time levels, which have special internal handling. You can create levels based on collection properties. Specifically, the system can directly use either a list of the type returned by $LIST, %List, or a character-delimited list. If a collection property stores data in some other way, it is necessary to extract the necessary data and create one of the supported types of lists. For Enter New Element Name, type DiagD. Rename the level to Diagnoses. While the level is selected, click the search button for Property, select the DiagnosesAsLB property, and click OK.
For Source value is a list of type, click $LIST. This type refers to data that has the format returned by the $LIST function or that has the type %List. The dimension name should be AllerD. The level name should be Allergies. Do not specify a value for Property. There is no property that we can use directly. It will be necessary to extract the list of allergies via an expression. The system evaluates this expression once for each row in the fact table, when it builds the cube. The variable %source refers to the current record. This expression gets the ID of the patient, invokes the utility method (which we have not yet written), and returns a list of allergies for the patient. Remember to select $LIST for Source value is a list of type. Then save your cube class. The next step will be to write this utility method. Open Studio and access the SAMPLES namespace. Open your cube class, Tutorial.Cube. Given the ID of a patient, this method returns a list of allergies of that patient, in the format expected by the level we created. The second argument of %OpenId() specifies the level of concurrency locking to use. Because we only need to read data from the object, we specify this value as 0, which establishes no concurrency locking and thus runs more quickly. Save and compile your cube class in Studio. 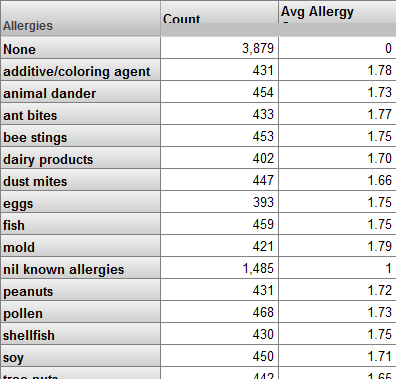 For Enter New Element Name, type Avg Allergy Count. The new measure is added to the table. Click the measure in the Model Contents area. We will have to write this method later. Save the cube class in the Architect. Because you have edited the class in Studio, the Architect displays a dialog box that asks whether you want to override the stored definition. Click OK. 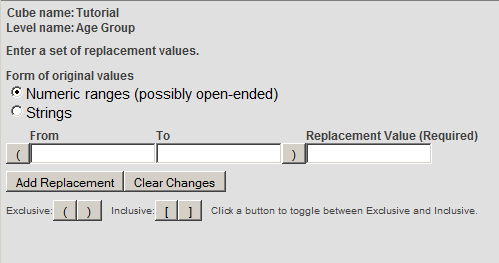 The Architect overrides only the parts of the class definition that you can edit in the Architect; that is, it does not override any methods you have added to the class. Save and compile the cube class in Studio. To do this, you can return to the Architect and rebuild the same way that you did before. Notice that the method uses the logical name of the cube (rather than the class name). Also notice that the cube name is not case-sensitive. In your data, you might also see the epilepsy diagnosis, which is more rare. This occurs if you do not specify the appropriate type for Source value is a list of type. The system includes a special allergen called nil known allergies. A user of the system asks the patient whether he or she has any allergies, and if the answer is No, the user selects the value nil known allergies. DeepSee does not assign any special meaning to this string. The dimension treats this allergen in the same way as any other allergen. The null member (called None) represents the patients whose Allergies property is null. Because it is incorrect to assume that these patients have no allergies, the name of this member is misleading. A better name would be No Data Available. Notice that the Avg Allergy Count measure is 0 for patients who belong to the null member. The Avg Allergy Count measure should be null for these patients. 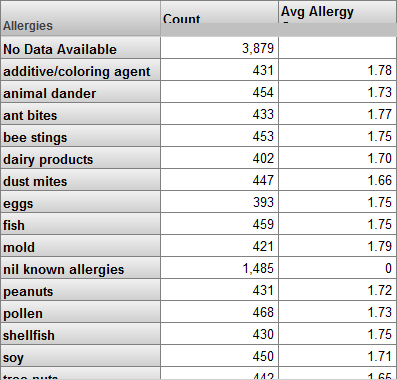 Also notice that the Avg Allergy Count measure is 1 for patients with no known allergies. This is because the Allergies property does include the special nil known allergies allergen. The Avg Allergy Count measure should be 0 for these patients. Later in this section, we will correct the name of the null member and adjust our logic for the Avg Allergy Count measure. For Null replacement string, specify No Data Available. //check to see if patient has "Nil known allergies"
Compile the cube class in Studio or in the Architect. Build the cube in the Architect. 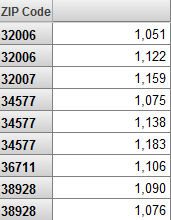 Optionally do the following to see how list-based levels are represented in the fact and level tables. In the left area, navigate to and open the table Tutorial_Cube.Fact and scroll to the field DxDiagnosesAsLB. This field contains the diagnoses for the patients. Notice that it contains multiple values in some cases. The name of this field is less obvious, because it is generated, because the level itself is based on an expression. Because this is another list-based level, it contains multiple values in some cases. Now navigate to and open the table Tutorial_Cube.StarDiagnosesAsLB. The level table for allergies is similar: one row for each level member. You could use a method like this to define a measure that indicates an overall score. In this part of the tutorial, we use options that transform the original values for levels into other values. Here we will use the Age property of the patient. We will define levels that place patients into buckets that are larger than one year. The 0 to 29 member consists of the patients who are less than 30 years old. The 30 to 59 member consists of the patients who are between 30 and 59, inclusive. The 60+ member consists of the patients who are older than 60 years. 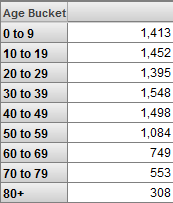 Similarly, the Age Bucket level will have the members 0 to 9, 10 to 19, and so on. Click the Age level. This ensures that the new level, which is less granular, will be added before the Age level. For Enter New Element Name, type Age Group. Click the new Age Group level. This will make it easier for us to see how the level definition affects the generated tables. Click the search button next to Range Expression. 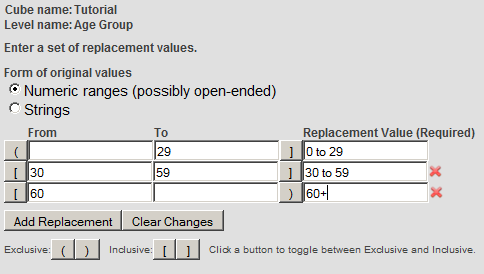 For numeric data, for each replacement, you specify a range of original values, as well as a new value to use instead. It does not matter which button is next to From, because no value is specified for the lower end of this range. In the new row, click the toggle buttons next to From and To. Type 30 into From and type 59 into To. Type 30 to 59 into Replacement Value. This value shows the syntax that DeepSee uses internally to represent the replacements that you specified. For the Age Bucket level, we could use the same technique. Instead, however, we will use an alternative: a source expression that converts an age in years into a string that corresponds to the appropriate ten-year bucket. In Studio, open the class DeepSee.Model.PatientsCube. Notice that the input to this method is just a number, rather than a patient identifier. For Enter New Element Name, type Age Bucket. The new level is added just before Age, but after Age Group. In practice, you are more likely to include utility methods in a central location such as the cube class that uses them (rather than some other cube as in this case). One point of this exercise is to demonstrate that you can invoke any class method that is accessible in this namespace. Similarly, you can invoke any routine or system function. In the left area, navigate to and open the table Tutorial_Cube.Fact. Navigate to and open the table Tutorial_Cube.DxAgeGroup. The system used your range expression to create this data. Because this level is not at the top of the hierarchy, it contains a reference, for each element, to the its parent member in the Age Group level; see the DxAgeGroup column. The system used the GetAgeBucket() method to create this data. //logic to use these details and return a string, either "A", "B", or "C"
You could use a method like this to populate a level that groups customers based on an algorithm that uses multiple pieces of information about the customers. The DeepSee Architect provides easy access to most of the properties within the base class, but we can use other properties, as well, including properties of classes that you can access only via SQL. In this part of the tutorial, we use data in the DeepSee.Study.PatientDetails class as levels in our cube. The DeepSee.Study.Patient and DeepSee.Study.PatientDetails classes are not connected by a class property and do not have any formal connection. Instead, both tables have a PatientID property, which connects them by convention. That is, to find information for a given patient, you must find the records that have the same PatientID in these two tables. In this exercise, we examine the data in DeepSee.Study.PatientDetails, try various SQL queries, and wrap a query in a method for use in defining a level. If you are more adept with SQL, you might want to skip some of the earlier steps. Make a note of one of the PatientID values, for future reference. This query returns one value, the string Blue. Now we need to write a class method that runs a similar query and returns the value obtained by the query. Instead of FavoriteColor, we must use FavoriteColor INTO :ReturnValue so that the returned value is written to a host variable named ReturnValue. Instead of using 'SUBJ_100301', we must pass in the PatientID field of the base class. After executing the embedded SQL, the method should check the variable SQLCODE, which is 0 only for a successful query. The query would be unsuccessful if no record was found. In such a case, it would be appropriate to return an empty string. There is an index on the PatientID field in DeepSee.Study.PatientDetails. This enables the query to run more quickly than it would otherwise. If an application does include tables that can be related most easily through SQL queries, as in this example, it probably already has indices on the relevant fields. Whenever you write a method like this, however, you should make sure that the appropriate indices exist. For Enter New Element Name, type ColorD. Rename the level to Favorite Color. This expression is executed when you build the indices; see the notes about performance in the previous step. The system executes your method and its embedded SQL once for each record in the base table. 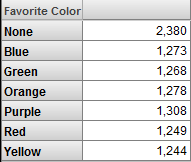 In the left area, navigate to and open the table Tutorial_Cube.DxFavColor.